I’ve just seen what I believe is a new competitive edge that some businesses can wield over others in the Google Places “blended” search results: sitelinks. 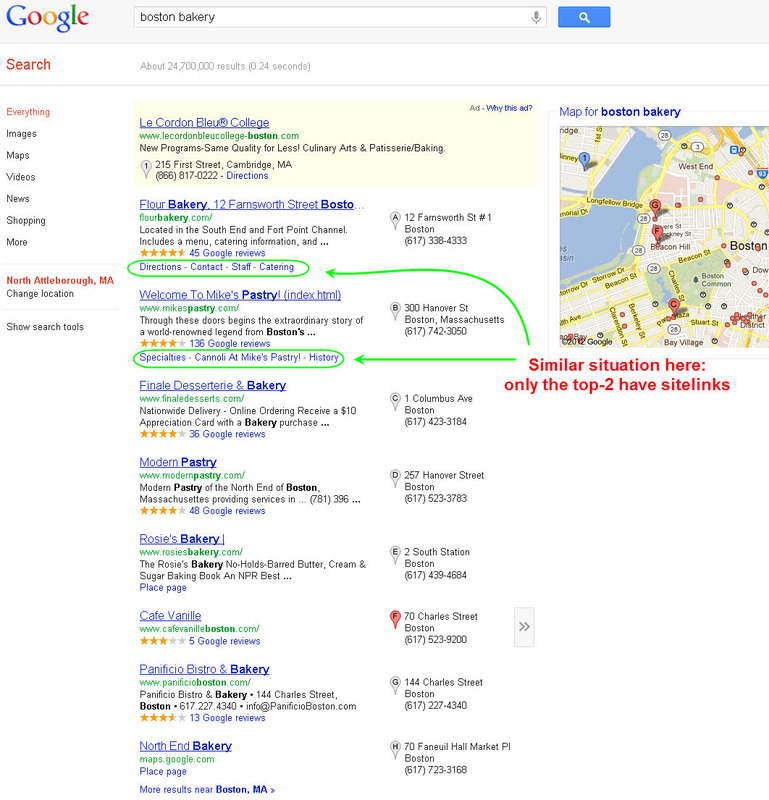 I’ve never seen sitelinks show up where they do now in Google Places. 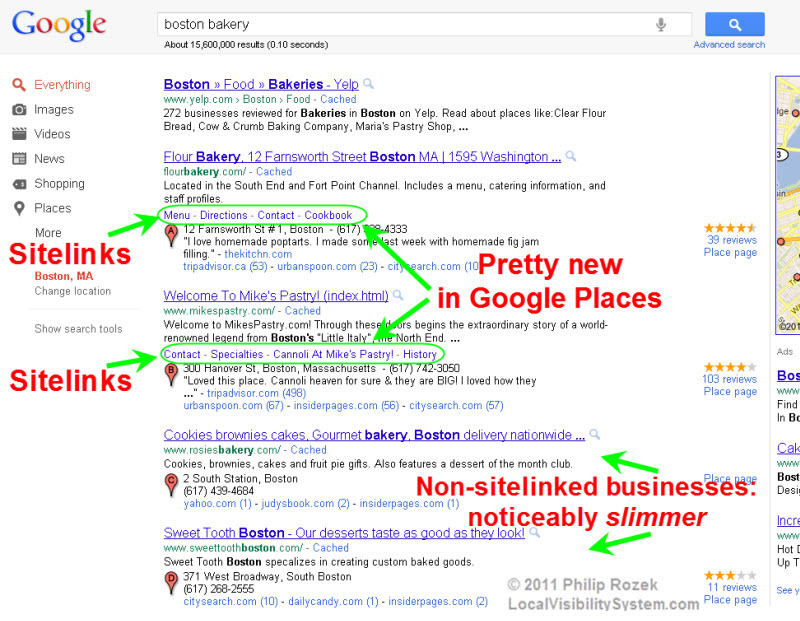 Sitelinks have shown up in non-local (organic and paid) search results for several years. 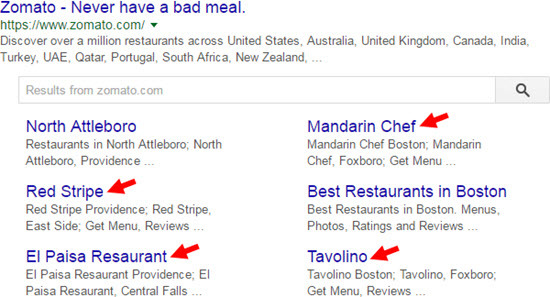 In terms of how they’ve appeared in the local search results, it’s been the case for quite some time that if you search for a business by name and see its “one-box” appear in Google Places, typically you’d see any sitelinks that Google has given it. What’s different about these sitelinks is they’re showing up for some businesses (and not others) in the cutthroat arena known as page one of Google’s local search results. 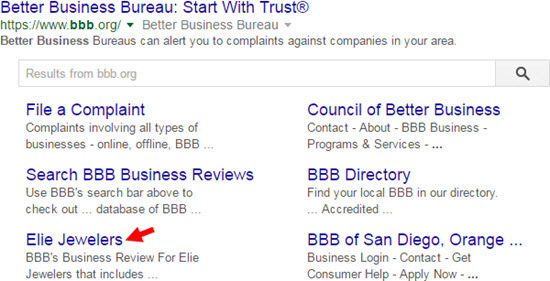 Some businesses get to show their sitelinks to customers, even when those customers don’t search for those businesses by name. 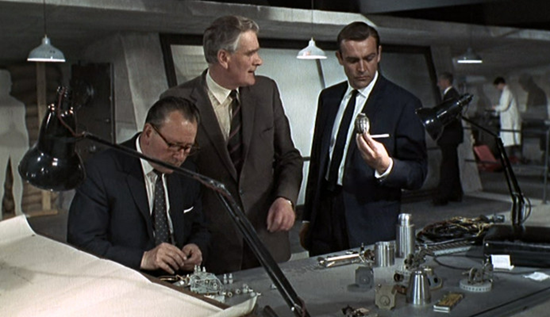 It’s possible this is a test. But I’d say that’s unlikely, based on the fact that sitelinks have appeared in more and more areas of Google over the years. In any case, this isn’t an earth-shaking change, but it does change the local-search landscape a little (is that too many L’s?). 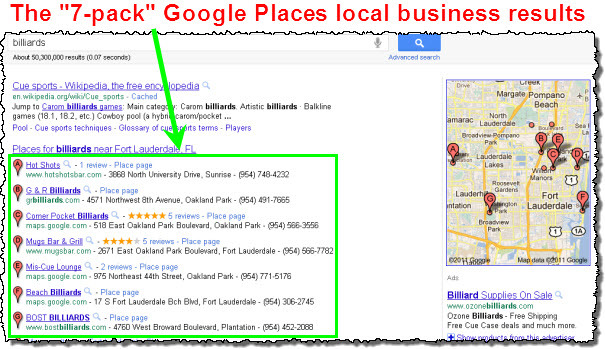 Mainly it’s a force-multiplier for businesses that are the top of Google Places for some search terms. The sitelinks push the other local businesses down the page just a little bit, and the sitelinks are likely to boost click-through rates for local businesses that have them. The moral of the story? Try to get sitelinks. An optimized, Google-friendly site can help your Google Places ranking big-time, and the process of trying to get sitelinks can help you tighten up your site and give it a boost in this way. 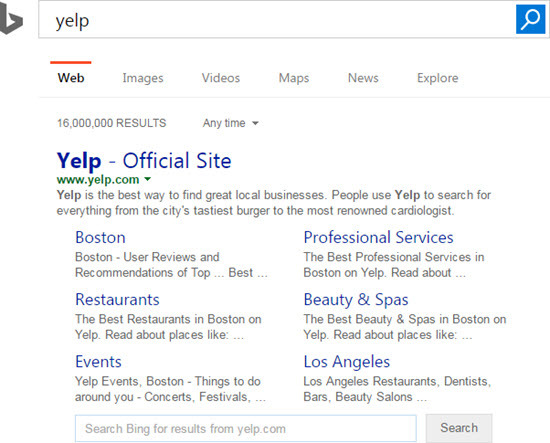 Plus, if and when you’re at the top of the local search results in your market, your sitelinks can be an even greater advantage over lower-ranked local competitors. 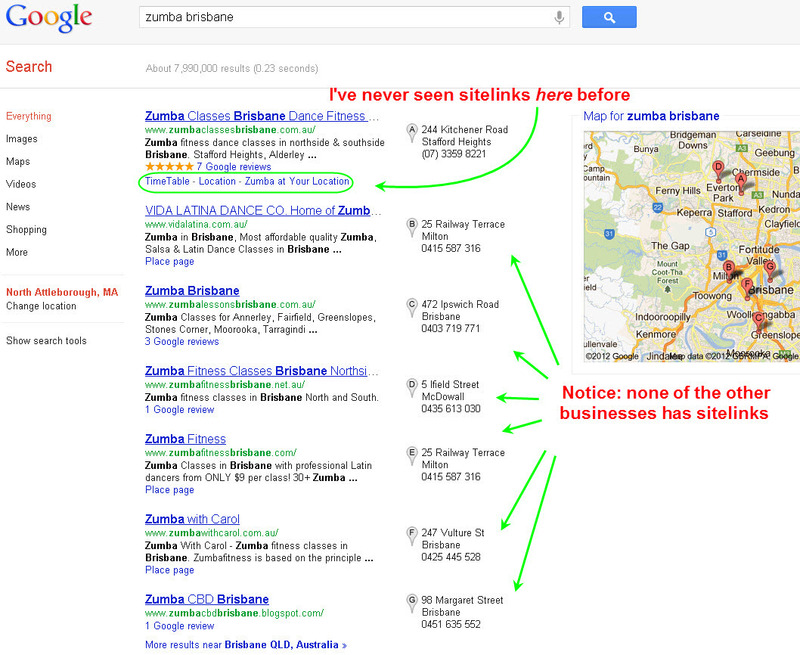 Have you noticed more sitelinks in your local market than you noticed before? 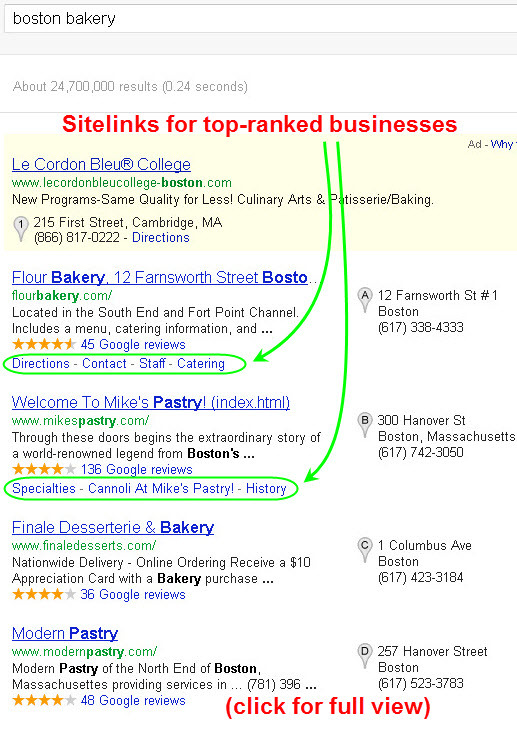 Is it only the top-ranked businesses that have sitelinks? 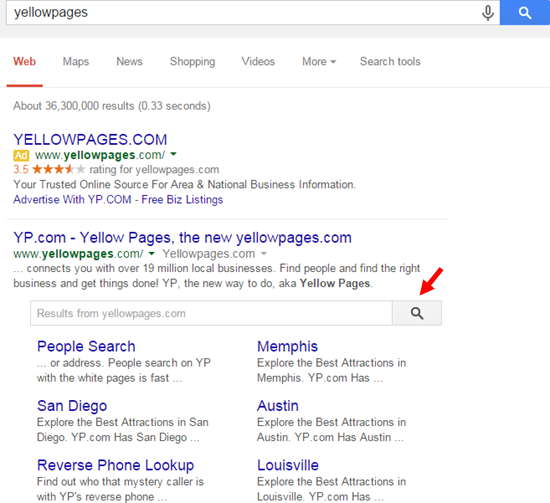 Little links in the search result for your website–links that lead to several specific pages in your site. 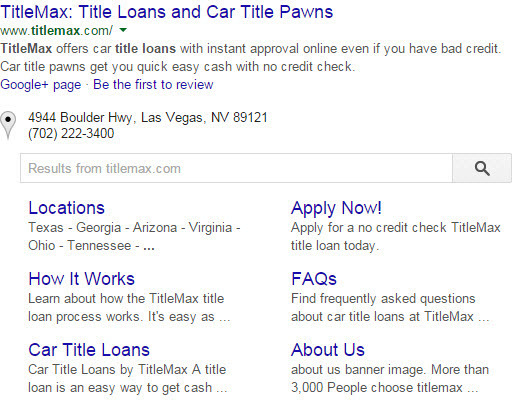 Sitelinks have appeared in Adwords ads and some organic search results for a long time. But only recently have they started showing up in the local search results. If you have a website–and you absolutely must have one unless you’re a barber shop in Mayberry–you want it to rank as highly as possible in the organic search results. Duh. 2. Hogging as much territory on the blended search-results page as you can. 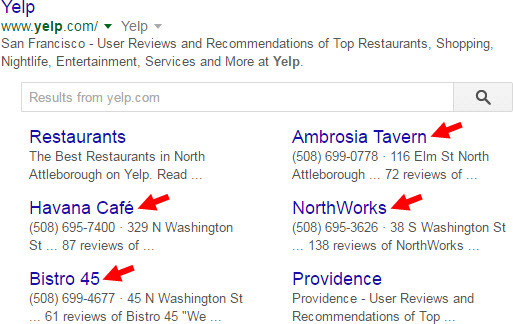 This is why you need to try to get Google Places sitelinks. They take up an extra line of space on the page, and they draw attention the themselves. You can use the resources on this site to accomplish #1. But how about #2? How can you get the sitelinks to show up under YOUR site? Google won’t say, exactly. According to Google, your site has to be “useful” to the visitor, and it has to be easy for Google’s bots to find your pages. It’s an algorithm that determines whether you get sitelinks: as with a box of chocolates and everything Google-related, you never know what you’re gonna get. Fine…but how do you get the sitelinks? 1. Feature helpful, informative, all-original content that’s highly relevant to the services you offer, for which you’re trying to get visible in Google Places. Content is still King. Sure, there are plenty of princes, jesters, and eunuchs who also occupy the court to a lesser extent. But none wields the influence over the great land of Google that King Content still wields. It’s also how you’ll get other sites to link to yours spontaneously, and good relevant content helps your Google Places ranking big-time. If you’re not sure how to create good, relevant content that your customers will actually find useful, I suggest you take a look at CopyBlogger. It’s a superb source of ideas. 2. Use a simple page structure. Don’t have your “Services” page, your “Contact Us” page, and your articles pages nested in a bunch of other pages. 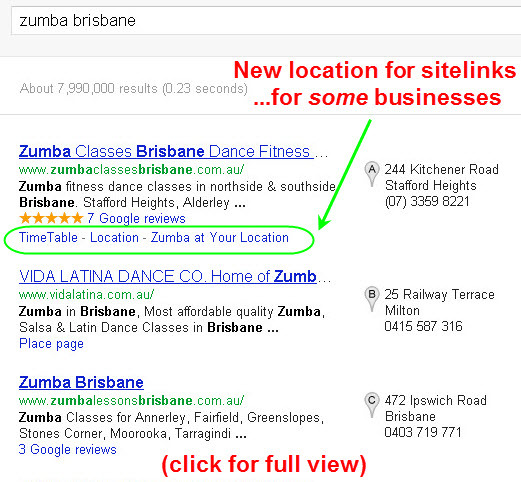 The structure should not be “www.yoursite.com/locations/2011/page-you-want-a-sitelink-for.html”. It should be more like www.yoursite.com/page-you-want-a-sitelink-for.html”. 3. Make sure your page names are concise. Google looks at this. If you want your “Specialties” page to get a sitelink, make sure it’s called “specialties.php” or something. Ideally, make the menu button match the page name. If your page name is too long, Google won’t give you a sitelink, based on what I’ve seen. 4. Get Google Webmaster Tools set up on your site (if it isn’t already) and then use it to submit a “Google Sitemap.” This will help Google crawl your site. Plus, it’s free. 5. Keep grinding away at your link-building campaign. Getting good content on other sites, with links back to yours, is still a great way to show Google how “useful” your site is. This probably isn’t news to you; I’m just saying don’t forget to keep up with it. 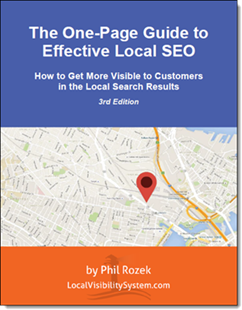 IF the “blended” local search results show up in Google Places in your local market (as opposed to the “7-pack”), these 5 steps should not only help get your business visible there in the first place, but should also help you snag some sitelinks, more on-page territory, and more local customers than your competitors have.